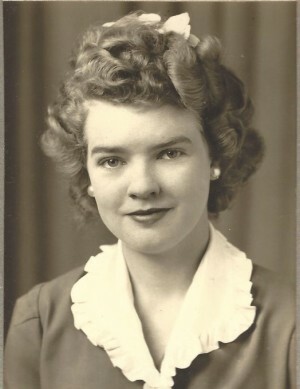 Norma Anna Ida Nee (Duensing) (Peters) Harms the daughter of Henry Duensing and Bertha Nee (Hobelman) Duensing was born on December 16, 1927 near Deshler, Nebraska. She went to be with her heavenly Father on November 14, 2018 at the age of 90 years. Norma was baptized December 26, 1927 at St. John’s Lutheran Church near Byron, Nebraska. She was confirmed on May 24, 1942 at St. John’s Lutheran Church by Pastor L.C. Lentz. Her Confirmation verse was 2 Corinthians 12-9. On September 7, 1947 she married Ludwig John Peters at St. John’s Lutheran Church. She always said the weather was so warm the candles in church melted. They farmed near Byron until 1953 when they moved to the state of Washington. They had three sons Wayne (Debbie), Robert (Kathy), Timothy (Anne) and daughter Lorinda (Wayne). Granddaughters Stephanie, Jennifer (Ken), Amy, and Jessica (Tony). Grandsons Christopher (Marisol), Nicholas, and Ernie. Four great grandsons, four great granddaughters, and one great-great grandson. Norma was a STAY AT HOME MOM. The kids loved the time they had with her, talking and watching her bake her famous chocolate chip cookies. She was always there for her family and friends with a smile and something to eat. After moving to Port Orchard, Washington she started a nursery specializing in fuchsia baskets. She loved her flowers raising & taking care of them till her passing. After Ludwig’s retirement they spent a number of winters traveling with the fifth wheel trailer mostly in southern California and Arizona. On June 11, 2003 she lost her husband Ludwig to cancer. Norma married Arthur Harms on October 11, 2008. After living in Colorado for a couple years they moved to Gig Harbor, Washington. On April 29, 2017 Arthur passed away. Norma is preceded in death by her parents, two sisters, brother, son Wayne and Daughter-in-Law Kathy. She is survived by Arthur’s daughter Judy, son Chuck, and Op (Abstar); Grandchildren and Great Grandchildren; nieces and nephews; and a great number of family and friends. Norma is Greatly missed by all her family, friends and all that knew her.